We undeniably consume the few remains of petroleum, and that's why it's getting expensive. To reduce fuel costs, shipping companies return to sailing boats. Yes, seriously. Sailboats. But they do not look like any sails you've seen before. You know sails – most of the time big rectangular things, sometimes big triangular things, almost always (but not always) always made of cloth. But while these things in the top GIF do not look like your regular sails, they are what they are. They just do not work like every sail you've ever seen. Slingshot of an object – be it a rotor sail or a basketball – drags Air around it as it turns. This creates an area of ​​lesser pressure on one side of the object that pulls the object forward. By turning, the rotor sails pull forward the ship to which they are attached, using only wind power. With enough wind power, ships can make their engines quieter and save fuel. Ideally, the motors could be switched off completely. And while all this seems magical and great, it's easy to dismiss the rotor's sail as one of those fantastic technologies that have been read somewhere as a "concept" that never actually existed. Sure, the Finns can put it on a ship, but that's usually it. Danish giant Maersk Tankers said on Thursday he has Install 100-meter rotating cylinders on one of its product tankers and add equipment that is truly a high-tech sail that could reduce the ship's fuel costs by up to 10%. If the system proves successful during the test, Maersk could use the technology on dozens of vessels in its 164-tanker fleet. 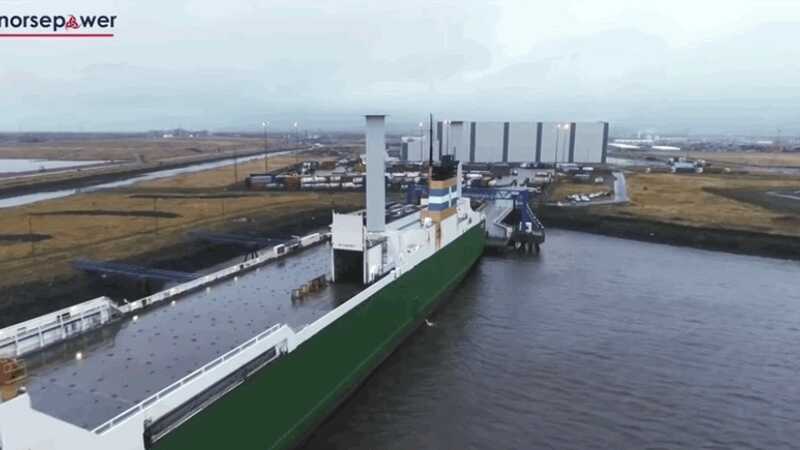 The WSJ notes that Maersk spends over $ 3 billion a year on fuel This could lead to huge savings, more than enough to cost up to 2 million euros for installing rotor blades on a ship cover. With the installation on the Maersk Pelican, there is now three ships in daily commercial operation with Norsepower rotor blades. These include the M / V Estraden, a Bore ship that offers ro-ro and general cargo between the UK and Belgium, Viking Grace, a Viking-line cruise ferry between Finland and Sweden. That's what you always thought In the future we would all be using jet-powered ekranopla n.
We go back to sailboats.